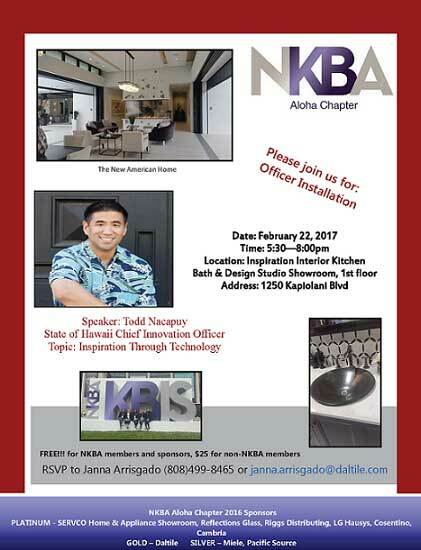 NKBA Aloha is the local chapter that brings together local Aloha Kitchen & Bath distributors, retailers, remodelers, manufacturers, fabricators, installers, designers, and other professionals – and provides a resource for local consumers to research, educate and connect with Aloha Kitchen and Bath professionals. 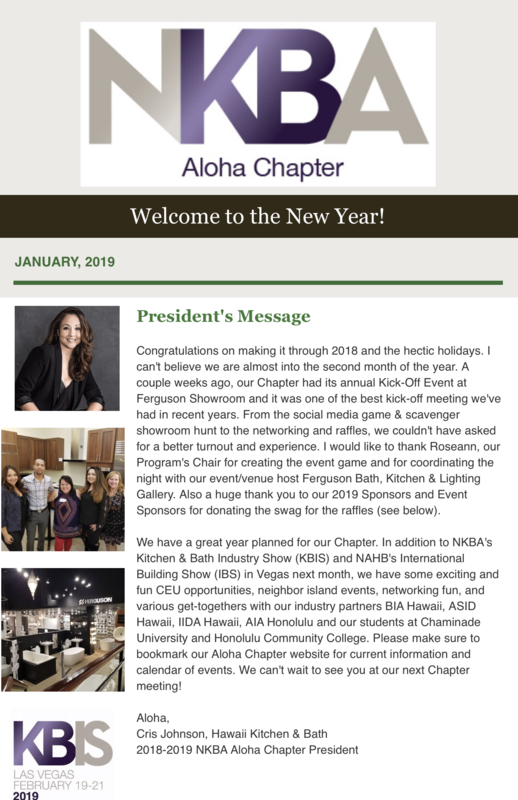 Click here to visit the NKBA Aloha website. 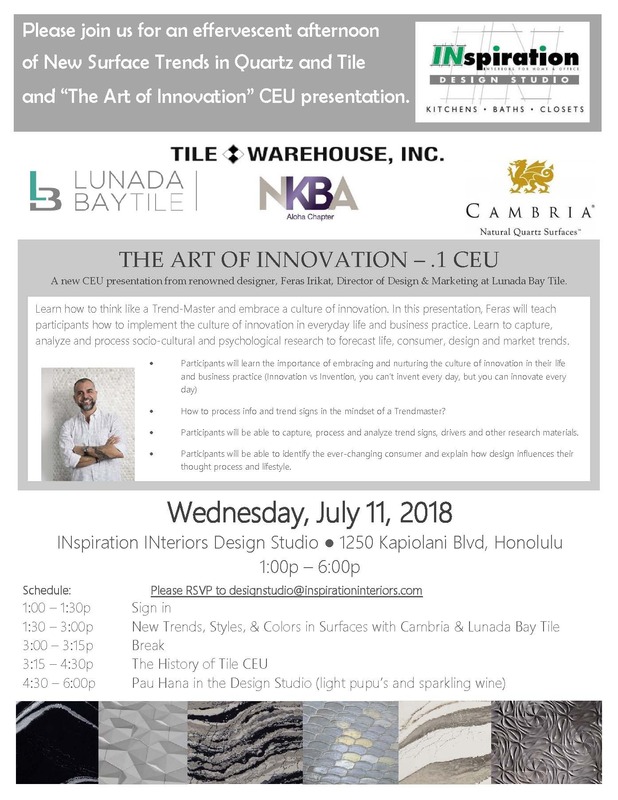 Hawaii Kitchen & Bath, Inc.
Our industry has always known how important it is to anticipate the way kitchens need to be planned for the future. 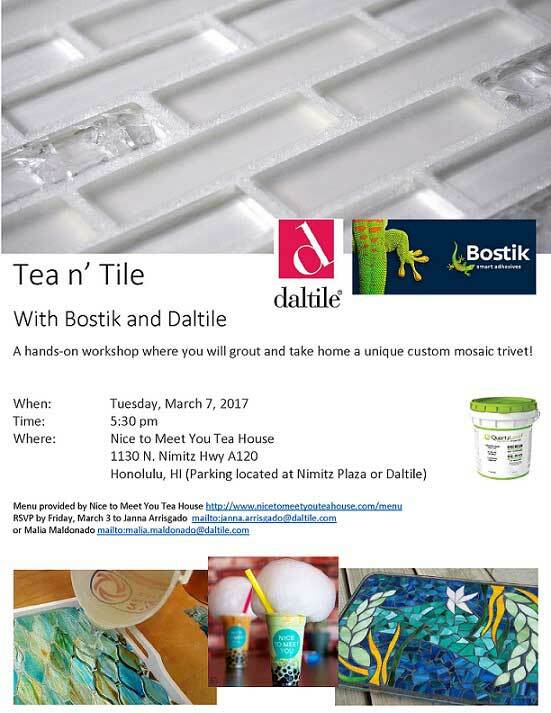 NKBA Aloha and ASID Hawaii are teaming up for our April Event. Blum will feature its AGE EXPLORER® suit! This suit helps to simulate movement limitations that come with age or other physical disabilities. Networking and socializing event. Also pairing as a casual membership drive. 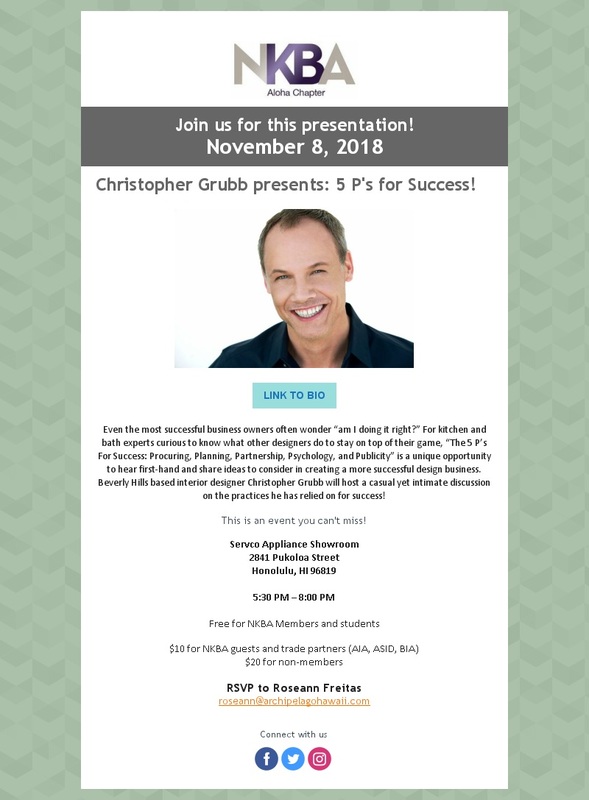 Christopher Grubb presents: 5 P’s for Success! 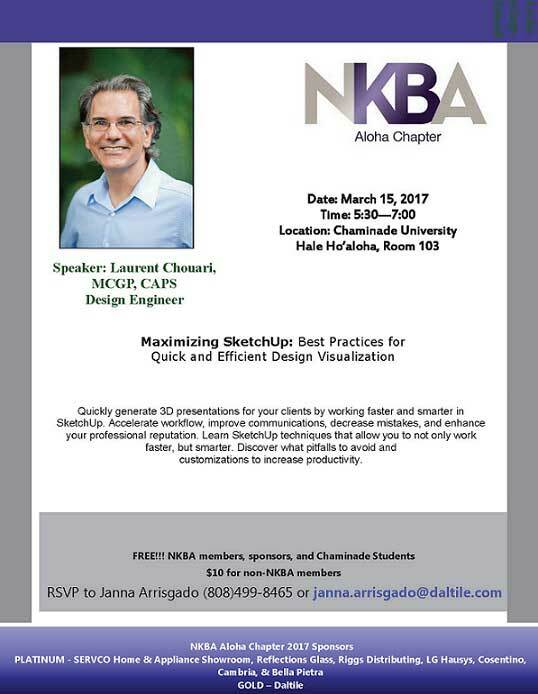 Beverly Hills based interior designer Christopher Grubb will host a casual yet intimate discussion on the practices he has relied on for success! The 5 Ps of success. 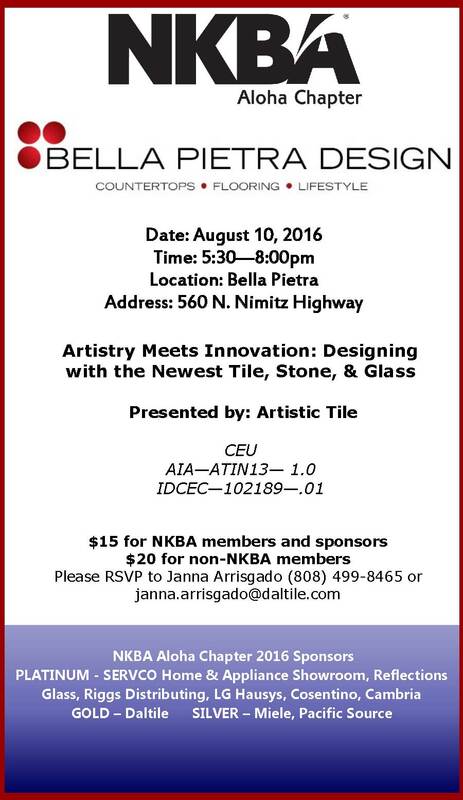 (.1 NKBA CEU). 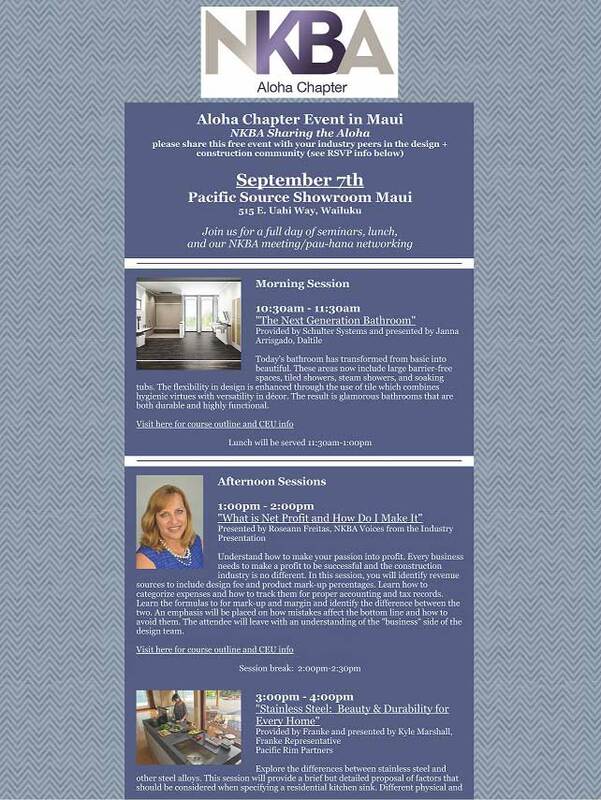 NKBA members and students will gather for a special event of networking, valuable information from expert designers on a special panel discussion, and a presentation from Honolulu Habitat from Humanity! 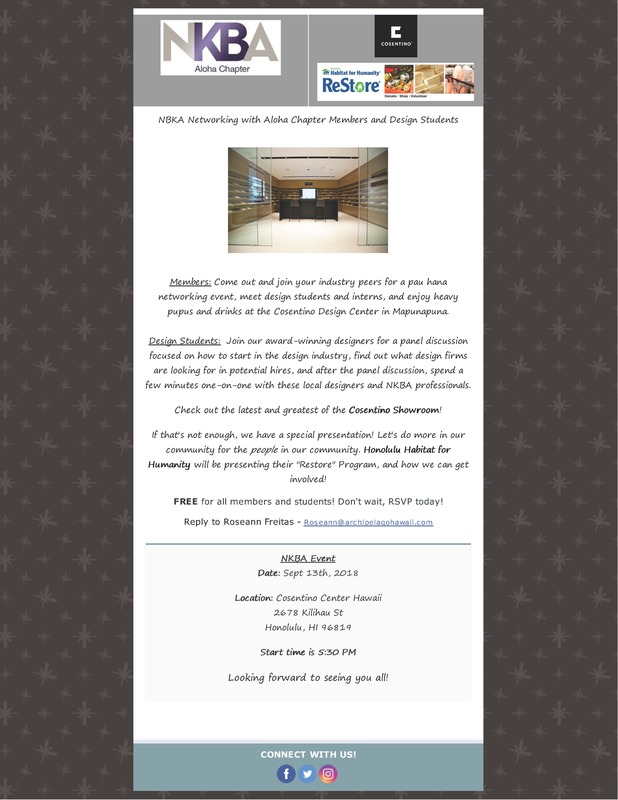 This is a can’t-miss event, and free to our members. 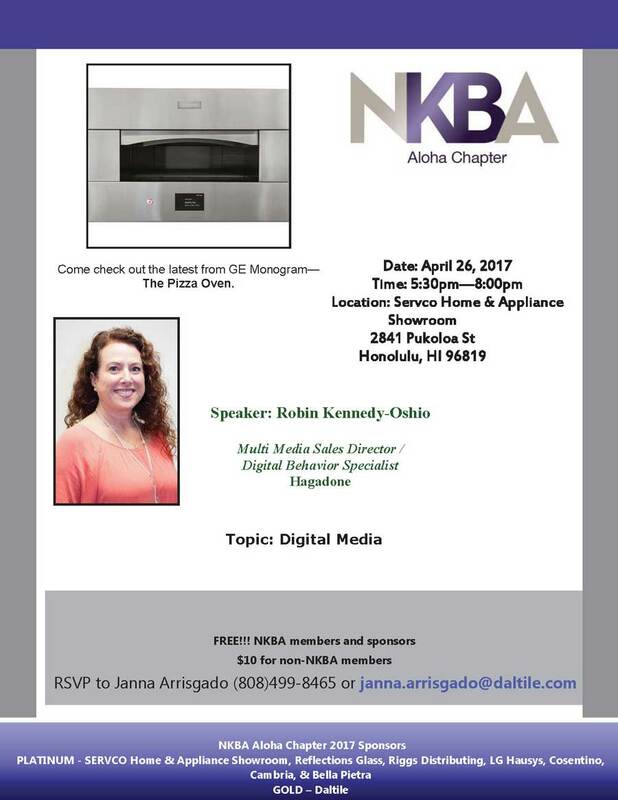 .1 NKBA CEU. analyze and process socio-cultural and psychological research to forecast life, consumer, design and market trends. 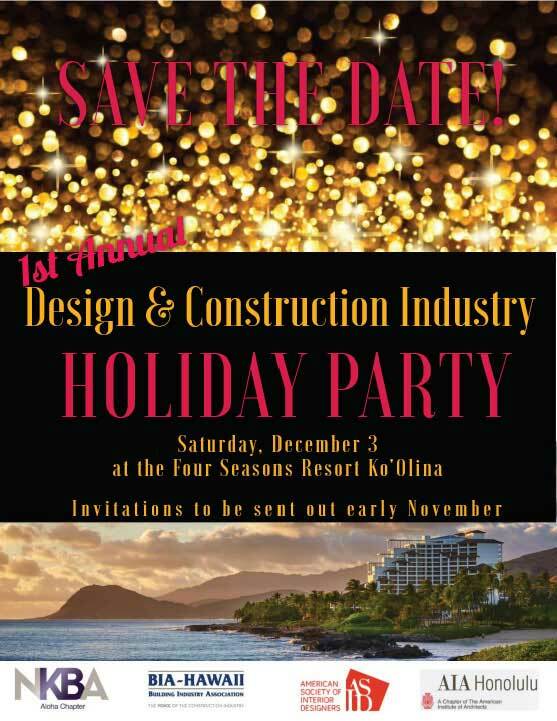 This event qualifies for .1 NKBA CEU. 4th annual product expo for learning, networking, etc. 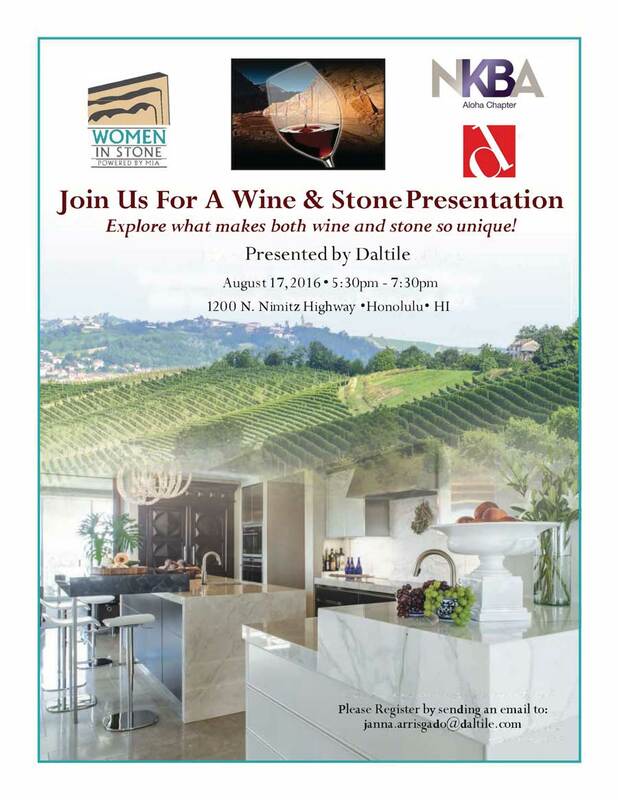 Showcasing commercial and residential products including CEUs. 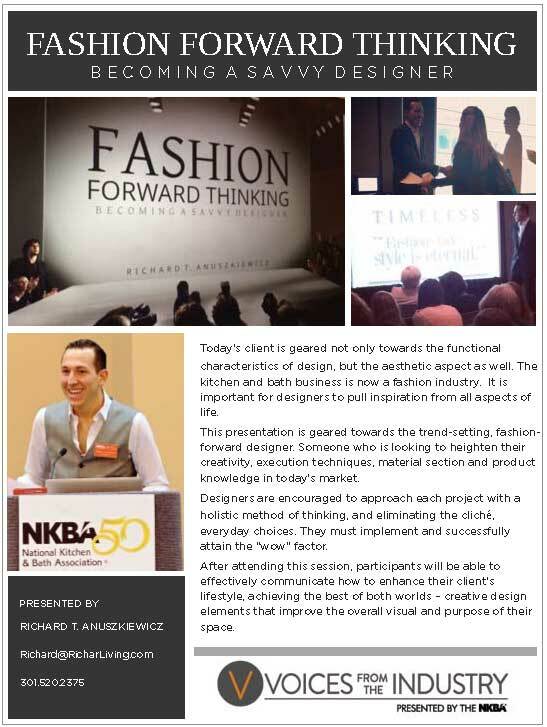 Not an NKBA event but counts for CEUs. Please submit each course! Life coaching on how to achieve more with less stress. Helping to organize and achieve goals.